A mandap is the platform where wedding ceremonies are performed. The mandap is one of the most important ingredients of every Hindu wedding ceremony. The wedding mandap is a sacred structure based on the four poles, under which the bride and groom exchange garlands and perform other rituals of wedding. It is under this sacred mandap where the wedding ceremony takes place in the presence of friends and relatives. There are a lot of weddings celebrated in the traditional manner in India today and people are influenced by the magnificently designed wedding mandap that one gets to see. There are a lot of modern decoration trends coming up and the need for a uniquely decorated mandap has increased. From the vast number of wedding functions the main wedding day is the most important and the wedding mandap is where all eyes would be fixed. In an Indian tradition, a mandap is a stage where the main wedding ceremony is conducted and it is decorated according to the wedding theme. All the traditional rituals and customs are held in the mandap. The wedding mandaps can be made of different materials like wood wrought iron or fibre. Different types of styles of architecture are added to the wedding mandaps. The mandaps can have big domes or arches with four, six or eight pillars. They can be decorated with flowers, clothes of different materials like tissue or satin or with artifacts. The mandap is considered as a sign of prosperity and the wedding mandap is usually made of silver and red colour. Hindu traditions also say that the four pillars of the wedding mandap symbolize the parents of the bride and the groom and the critical role they have played in bringing up their children. In the center of the mandap is the sacred fire, a symbol of God, where the main wedding process takes place. 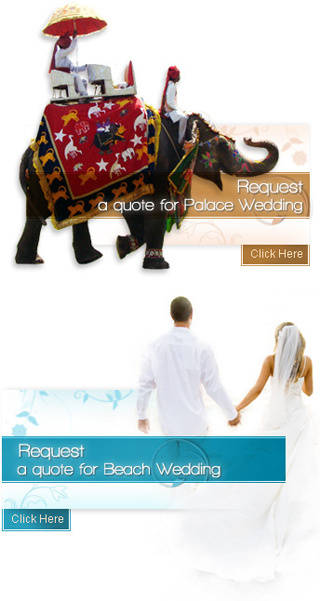 According to the Hindu wedding traditions the wedding mandap is chosen according to the wedding theme. According to the beliefs the mandap is considered a very holy place. There are modern trends coming up in the market that put forth their wedding mandap along with wedding theme, like Royal wedding mandap, Flower theme wedding mandap, Ganpati Themed mandap and many more.